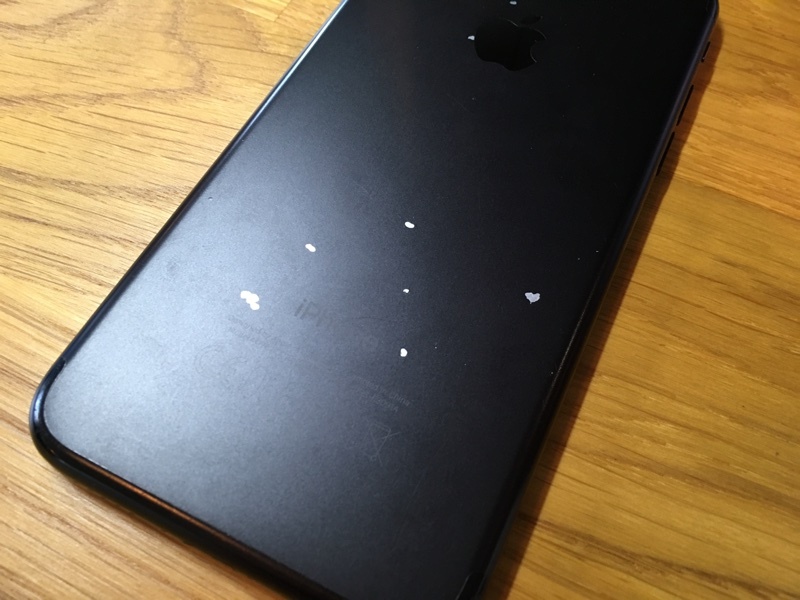 A number of customers who purchased the matte Black iPhone 7 or iPhone 7 Plus have noticed that the anodized finish on their devices has started chipping or peeling off in areas where there has allegedly been little wear, leading to a growing complaint thread on Apple's Support Communities. 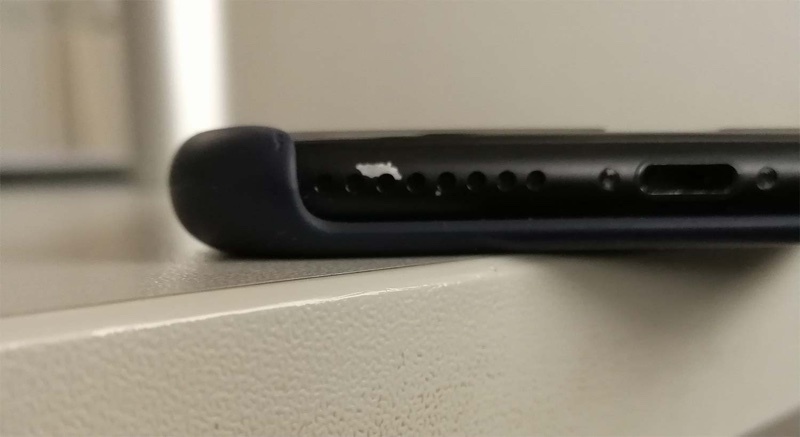 Multiple photos in the thread depict chipping in areas near the speaker grille and the volume buttons, even in situations where the iPhone was said to be protected by a case. At least one user has seen more extensive chipping across the back of the device, a much more serious problem than most of the reports. My case might be even worse. The paint at the back of the iPhone started to chip off very heavily. First there were some bubbles building up and then when I put the iPhone on a table the paint chipped off completely. 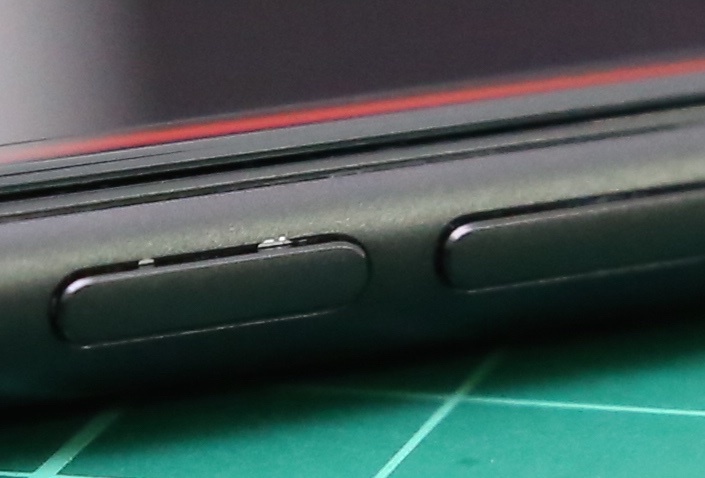 A finish prone to chips and peeling is not unique to the iPhone 7 and 7 Plus, nor to the matte Black color. It's an issue that has affected several versions of the iPhone in the past, including the iPhone 6 and 6s, but there seem to be a higher number of complaints from iPhone 7 users who are affected by the problem. Parallels can be drawn to complaints that surfaced in 2012 after the release of the Black and Slate iPhone 5, which also drew a lot of criticism from customers due to chipping and scuffing issues. At that time, Apple marketing chief Phil Schiller responded and said some wear was normal. "Any aluminum product may scratch or chip with use, exposing its natural silver color," he said. "That is normal." Matte Black iPhone 7 owners who have contacted Apple about the chipping issue have been told that because it's cosmetic, their devices are not eligible for repair, which has traditionally been Apple's stance on reports of finish problems. Cosmetic damage is not covered under warranty, so iPhone 7 owners with chipped devices are unlikely to get replacements. Some affected users from Apple's Support Communities have used sharpies or black paint to cover the damage, while others have sold and replaced their devices with a color less prone to damage. Apple warned users that its glossy Jet Black iPhone 7, sold alongside the matte Black version, would see "fine micro-abrasions" with use and instructed concerned customers to use a case, but no similar warning was given about other iPhone 7 colors. Well, it's not paint. It's the anodized coating itself. And it should abrade away, not flake off. It's faulty anodizing. I'm actually an anodizer. This is a textbook anodizing reject. No problems with mine. Mind you, I look after my stuff properly. Cheap phone. Cutting corners. This looks like what used to happen to my old cell phones or any cheaply painted electronic. Welcome to Tim Cook's Apple. Anodizing should not flake off. Scratch, yes. not flake. Keys etc would scratch the surface, but that is not what is appearing in this context. It's hardly Timmy's fault if people put their phone in the same pocket as car keys etc. Blame the user!